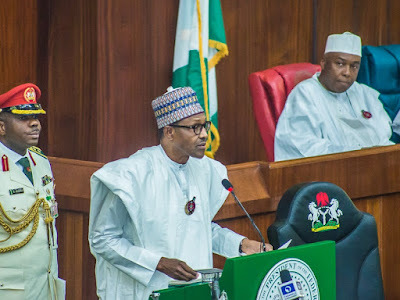 President Mohammadu Buhari and All Progressives Congress (APC) leaders yesterday moved to prevent the “hijack” of the new National Assembly leadership. President Muhammadu Buhari dined with serving APC senators and senators-elect at the New Banquet Hall of the State House. 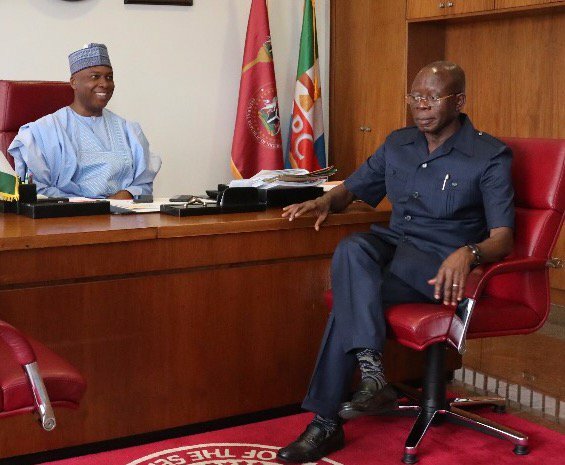 The meeting came on the heels of a similar parley between APC National Chairman Adams Oshiomhole and House of Representatives members-elect at the Shehu Yar’Adua Centre in Abuja. APC leaders, including Lagos, Plateau, Kogi, Kaduna, Jigawa, Kebbi, Zamfara and Osun governors. Oshiomhole and Secretary to the Government of the Federation (SGF), Boss Mustapha, were also present. Also yesterday, Oshiomhole ruled out the possibility of the ruling party sharing legislative powers with the opposition Peoples Democratic Party (PDP). Giving an insight into what to expect from the Ninth National Assembly, the party chair insisted that the mistakes of 2015 would not recur.